Come celebrations and the tax system does do you a few favours. 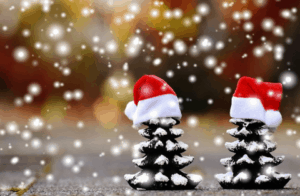 With winter already working its wonder and the much awaited Christmas celebrations around the corner, it’s time to give the annual event a thought from a corporate point of view. After working sweat and blood all year round, your prized employees expect to have some kind of work function by the end of the year. Regardless of whether it’s just some meal in a local restaurant or a chock-full party.It also adds as an opportunity to celebrate the year’s achievements. As a concerned and a generous boss, this might be the perfect time of the year to show your gratitude to your employees for everything they have done. In every corporate sense, it’s never too early to start getting into the festive spirit. Early organisation will only ensure that your work celebration runs smoothly and in a manner that is tax friendly. The cost per head must not exceed £150 per head even by a penny. This can be inclusive of conveyance fees, food and beverage and accommodation as well. Remember that this £150 is inclusive of VAT. The happy twist here is that considering that the event recurs annually, it doesn’t mention specifically when. So you can make the best of the £150 exemption policy by hosting two events. You could split it as £75 for a Christmas party and the other half for a Christmas BBQ. EVERY employee must be invited regardless of whether they can make it to the party or not. It must be open to every employee, regardless of the different branches or departments of your company they work for as long as you share the same location. If you have divisions or sections in different locations, make it a point to hold a separate event for them as well. It is fine for some of your employees to miss the event, just make sure you’ve invited them all. Sometimes an employee could end up tagging along a family or a friend. To our surprise, the law is pretty generous in this area as each guest that comes along also gets a £150 allowance. The party MUST be an annual event. Make sure that the event is hosted annually and not just as an on and off affair. The primary purpose of the event must be to entertain your staff. In order to get the most out of your business income, it is crucial to ensure that you fully realise the financial perks of all your hard work. You must ensure reasonable care in order to avoid loss of tax which will apply tax penalties. 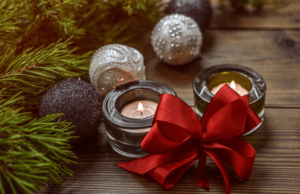 At Northants Accounting, we shed light on the various taxes, the exemptions and penalties involved to welcome the jingling bells all happy and gay! So, this festive season keep this blog in mind and have a merry corporate Christmas!